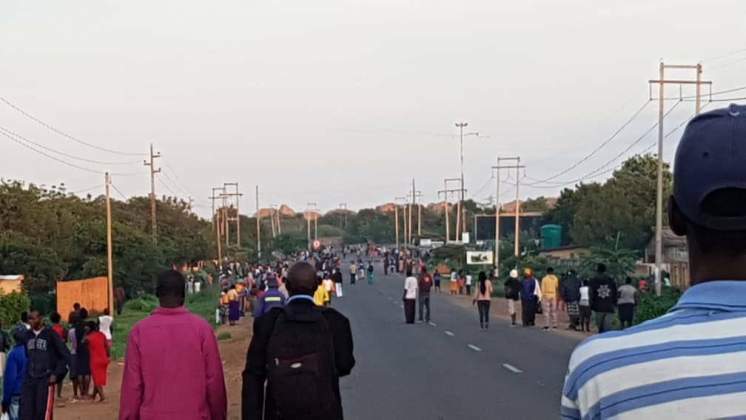 Zimbabwe from all major cities and towns on Monday engaged in a collective mass protests against the increased fuel price, collapsing economy and high cost of living. In Harare protestors flooded the streets calling for the government to fix the economy. In Bulawayo all raods leading to the Central Business District were closed with commuter Omnibuses parked. Any car that carried people was stopped by protestors and drivers beaten. School children were turned on their way to school and told to go back home.